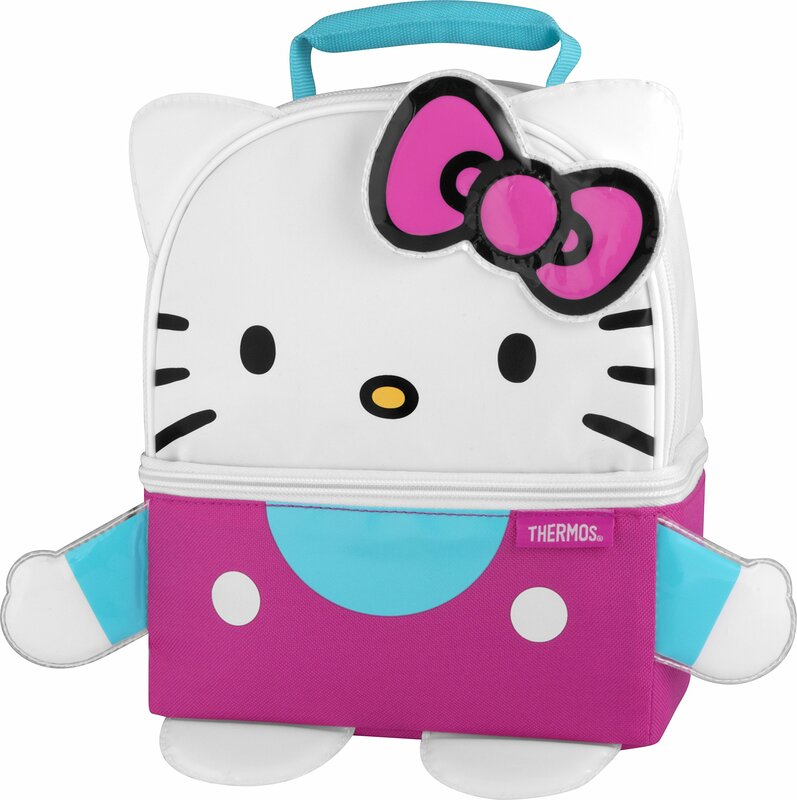 Color:Hello Kitty Figure THERMOS brand products deliver what matters everytime. As the leading manufacturer of convenient insulated products for over100 years, THERMOS brand is trusted by consumers to provide innovativeportable containers that promote a safe and healthy lifestyle. This commitmentcontinues with an expanding range of fun and functional lunch kits that getyour child's healthy lunch to school and back, in style. Pack their lunch in aTHERMOS brand reusable lunch kit each day instead of using disposables: you'llreduce waste and save your family money! Now that's fresh thinking. Thisuniquely shaped lunch kit features a zippered main section made of molded EVAmaterial and a comfortable carrying handle. Intended for children five yearsand older. 100% PVC free with PEVA lining and superior foam insulation. Wipeclean with a damp cloth.